It’s Fourth of July weekend in America and while the majority of the public will be celebrating US independence with fireworks and beverages on Saturday, the MLS is set to produce its own brand of pyrotechnics. Only two fixtures fall on Independence Day but Sunday is packed with enthralling matches, building on what was a thrilling Heineken Rivalry Week. Last weekend saw five local derbies which all produced important results. While the Seattle Sounders have plummeted from a position of dominance, the likes of DC United and the Vancouver Whitecaps lead their respective conferences. However, with results unpredictable and many mid-table sides having games in hand, this MLS regular season looks as though it could go down to the wire. The second Texas derby of the season saw Houston Dynamo soundly beaten by rivals FC Dallas 2-0, making it their second consecutive loss by the same scoreline. Houston battled to contain the creative influence of Fabian Castillo and a goal looked inevitable every time he began a mazy dribble into the Dynamo box. They’ll be pleased to be back at home where they’ve managed two wins on the trot in what has been a miserable campaign so far. Only the Colorado Rapids are below them in the Western Conference. However, overall, their opponents Chicago Fire are six points adrift of the home side. Chicago have lost nine of their fifteen matches this season, four on the spin. DC United were too good as Chicago hosted them last weekend, going down 1-0. Neither of these sides has found the net with regularity and I’m tipping Under 2.5 goals at 8/10. The Seattle Sounders were humiliated 4-1 by the Portland Timbers in their last MLS outing, making it two comprehensive losses to the outfit just this month. The most potent attacking franchise in the MLS have now lost four in a row including the cup fixture with Portland and from topping the overall standings, have since tumbled down to third. Seattle conceded twice in three minutes on Sunday to go 3-1 down after 76 minutes, conceding yet again in stoppage time to give manager Sigi Schmid food for thought. DC United drew with Toronto last time out to take their unbeaten run to four matches. It was a goalless affair and kept DC United comfortably atop the Eastern Conference by a staggering eleven points, leading the overall standings by three points. This is a tough one to call. Seattle haven’t lost to DC in their last five meetings but based on current form, it’s tough to back the home side. Based on their leaky defence and quality up front, I’m tipping Over 2.5 goals at 19/20. Columbus Crew played out a 2-2 draw with Real Salt Lake and solidified their position in mid-table in the Eastern Conference. Columbus Crew haven’t shot the lights out this season but have picked up results steadily enough, unbeaten in their last four including their cup tie. Striker Kei Kamara is their shining light and has twelve goals to his name already this season. Opponents New York Red Bulls downed city rivals New York City FC 3-1 in a highly anticipated first meeting at Yankee Stadium. The Red Bulls conceded first but a rousing second-half performance saw them turn the match in their favour. The Red Bulls have won two in a row and will be high on confidence. I’m going against the grain and tipping the away victory here at 5/2. The Montreal Impact picked up a point in a 2-2 away draw at Philadelphia Union last time out, patching some of the wounds suffered in their drubbing at the hands of fellow Canadians Toronto three days prior. The Impact conceded a soft goal to settle for the draw and struggling towards the bottom of the Eastern Conference after fourteen matches, need to find a way to capitalise on home ground advantage. New York City FC were played off the park in the second half of their derby with the Red Bulls. The only consolation for New York is that their three-match MLS winning streak prior has kept them off the bottom of the Eastern Conference, but there is much work to be done at the expansion franchise. The arrival of legends Frank Lampard and Andrea Pirlo will help alleviate the lack of quality, but it is an enormous task ahead for the greats. I’m tipping Montreal to get back to winning ways at 21/20. Hollywoodbets' 15% Bonus is on the go! Click the picture for more info! The Colorado Rapids have a measly fifteen points to show from their seventeen matches played and only the Chicago Fire, who have played two games less, stand between the Rapids and rock bottom. They’ve been easily beaten 2-0 by Orlando City and Sporting Kansas City over the past week and will hope that their recent tendency to force draws at home comes to the fore. The Whitecaps, on the other hand, are on the up and up. They ended New England’s seventeen-match unbeaten run at home with a 2-1 win and picked up the same result away from home at the Red Bulls the weekend before. The Whitecaps have now won four of their last five and will feel the momentum is with them coming into this fixture, particularly given their away form of late. Have a punt on the Whitecaps at an attractive 19/10. After a strong start to the season, the New England Revolution have hit a massive speed bump and lost their last four consecutive matches, including a 1-0 cup loss to USL (or third division) side Charlotte Independence. Losing to the Whitecaps 2-1 snapped a seventeen-game home MLS unbeaten streak and although New England lie second in the Eastern Conference, their nineteen matches played sees sides below them with games in hand. Nothing less than a victory will do as they travel to Dallas. FC Dallas got back to winning ways with a 2-0 victory over Texas rivals the Houston Dynamo in their last outing. They’d waited six matches to claim three points and the victory sees them remain in touch in mid-table. New England’s form on the road has been lacking over the past month while Dallas have a proud record at Toyota Stadium. Back the home side at 19/20. Although Real Salt Lake and Columbus Crew played out a 2-2 draw at the Rio Tinto Stadium, it was Real’s opening goal from a free kick that fans and spectators will remember about the day. It was clearly a premeditated training ground manoeuvre and was pulled off with precision and at pace. The free kick was taken from the right of the box in low to a man stationed in front of the wall, who flicked a pass back out to a runner on the right wing, who instead of taking the header on goal, chested the ball back across to Olmes Garcia for a tap in. Sublime. After a slow start to their inaugural MLS season, Orlando City have won four of their last five matches. 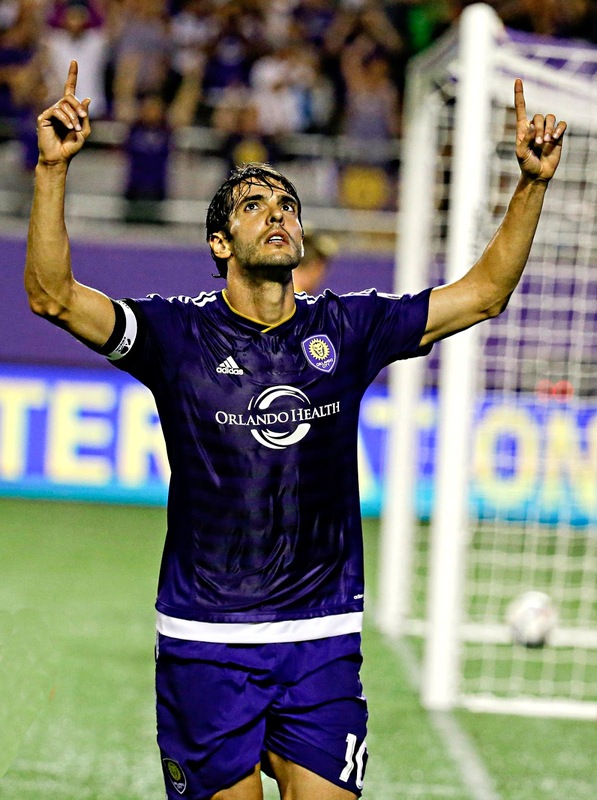 The settling in of Kaka has worked wonders for the franchise and the Brazilian now has eight goals for the season. Cyle Larin has also been a persistent threat up front with six goals. The USA’s Brek Shea will be missing through injury. I expect this to be a fascinating encounter. Over 2.5 goals is my bet at 19/20. The California Clasico saw LA Galaxy slump to a 3-1 loss to the San Jose Earthquakes, a team who they will meet again on Thursday in cup action before this clash with Toronto FC. The LA Galaxy’s incredible home form has seen them record some hefty wins of late, Robbie Keane well amongst the goals. They beat tiny amateur UPSL side PSA Elite 6-1 before running out 5-1 winners against Philadelphia Union and 5-0 victors against the Portland Timbers. Clearly, LA are still a team to be feared but the comfort of the Stubhub Centre is their main draw card from a punting perspective. Toronto FC are in decent form and if they happen to string a few wins together they could easily be knocking on the door of DC United at the top of the Eastern Conference having played five matches less. The two sides drew 0-0 in Toronto’s hosting of DC in conditions that were not conducive to goal scoring. Toronto have lost only once in seven matches but LA Galaxy should have too much for the Canadians. Back the home win at a rather valuable 15/20. The Portland Timbers smashed a strong Seattle Sounders outfit 4-1 to continue their rich vein of form and move into contention for a place in the upper echelons of the overall MLS table. 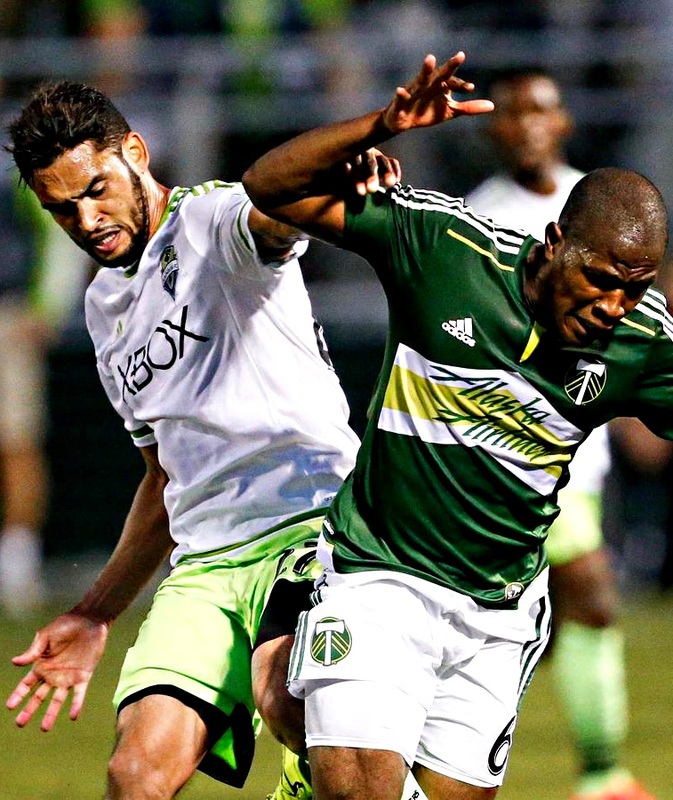 Fanendo Adi was the chief destroyer, scoring twice in three minutes to knock the wind out of Seattle’s sails. It was the seventh time that Adi has scored a brace or more since joining Portland in May 2014. Aside from being thrashed 5-0 by the Galaxy away from home, Portland have won five of their last six matches. More importantly, their won their last four at Providence Park in Portland. The San Jose Earthquakes have managed to cultivate their own unbeaten streak. They’ve gone four matches in all competitions without defeat and will be riding a wave of confidence having beaten city rivals LA Galaxy comfortably in their last outing. However, the Earthquakes do tend to battle on the road. Back the Portland Timbers to run out victors at 6/10.